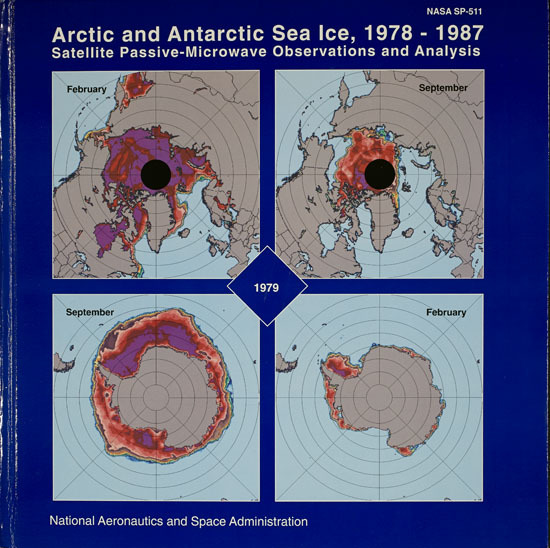 NASA published a book comparing polar ice differences year to year during 1978 - 1987. This book is part of the Senator's collection. Members of this Commission included Dr. Juan Roederer, Oliver Leavitt and Elmer E. Rasmuson. Senator Stevens cosponsored a bill in 1984 creating the US Arctic Research Commission. He knew the importance of Arctic research to Alaska, and much Arctic Research Commission material is contained in the Stevens Papers.